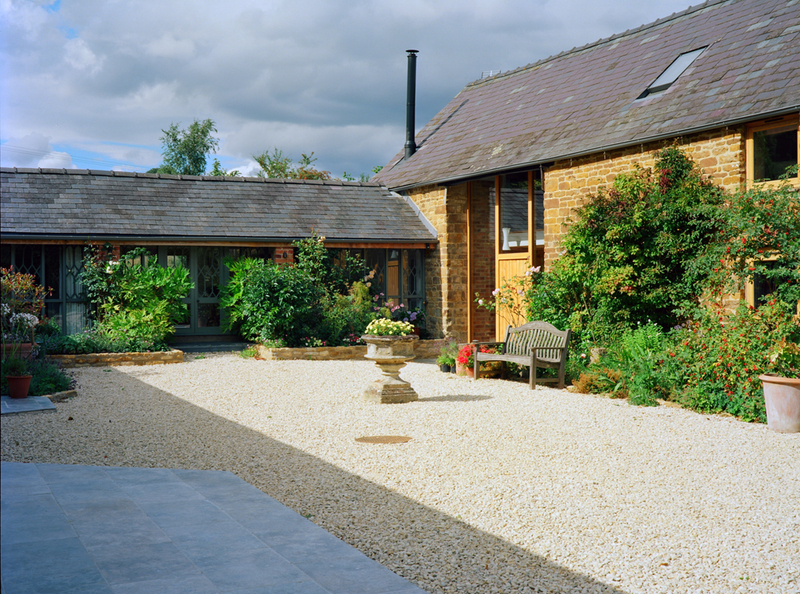 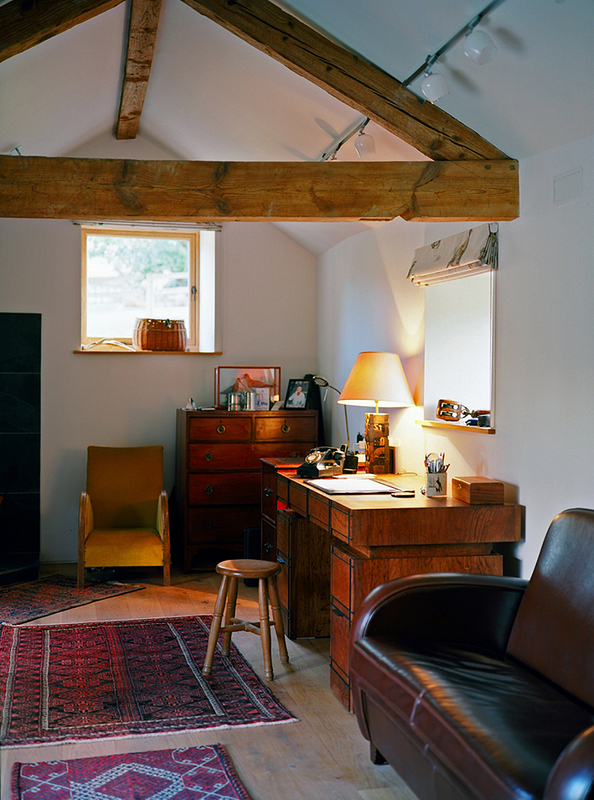 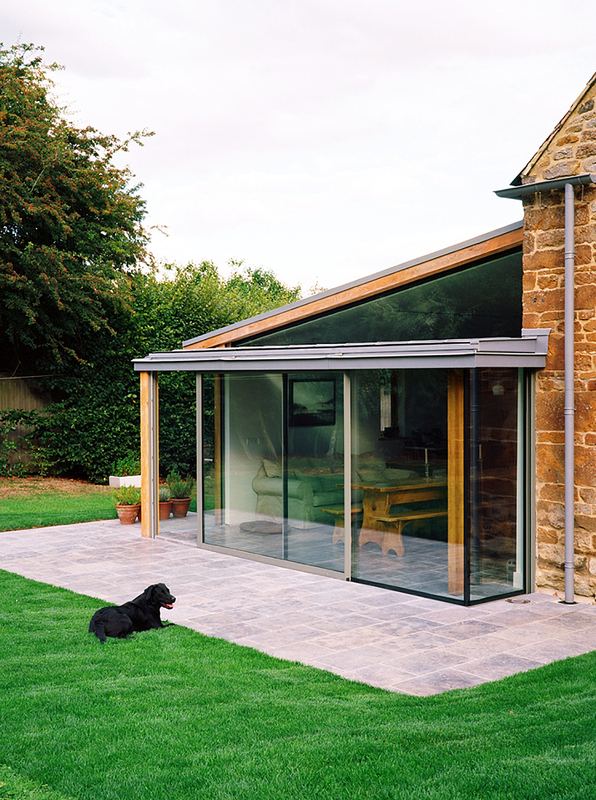 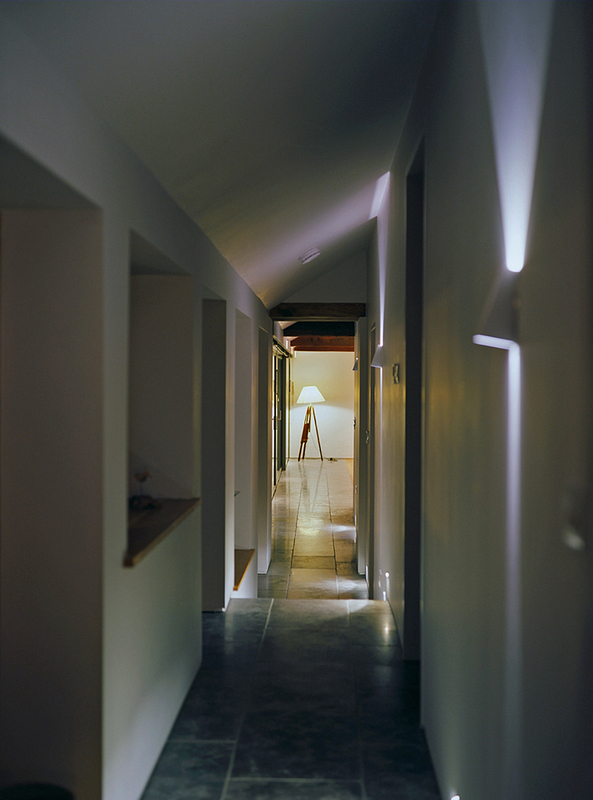 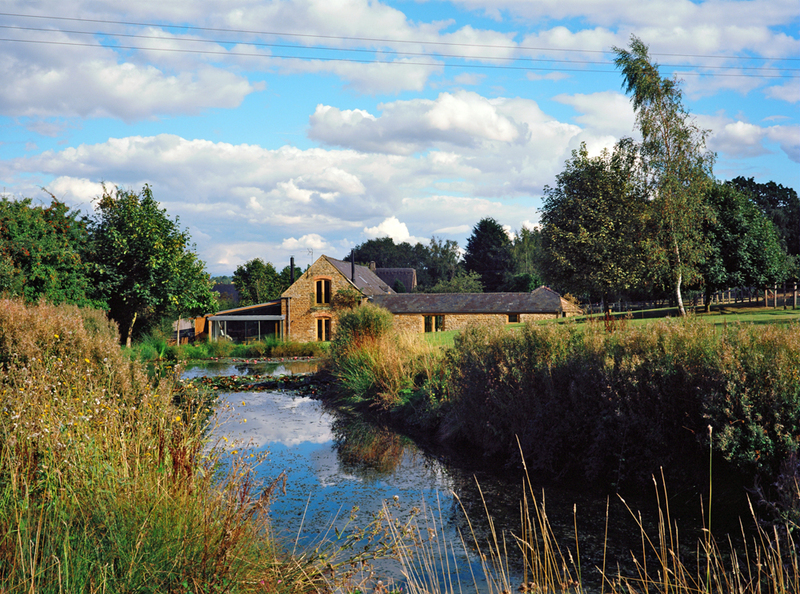 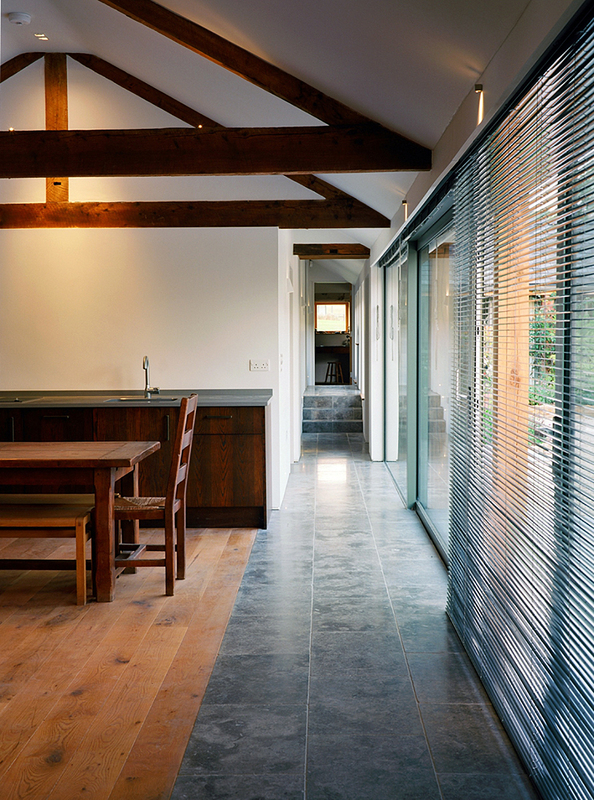 A Grade II Listed Barn Conversion in South Warwickshire, between Stratford on Avon and Banbury. 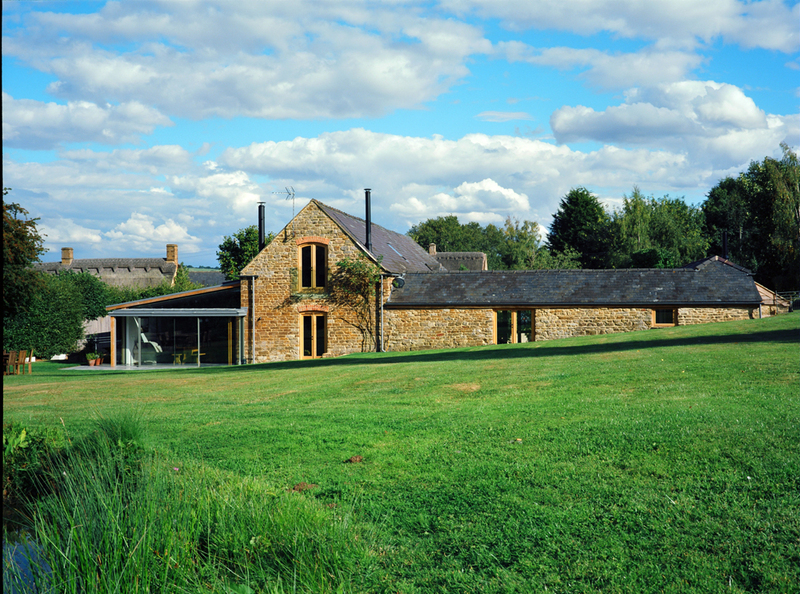 These historic stone barns have been carefully renovated together with contemporary introductions and extensions. 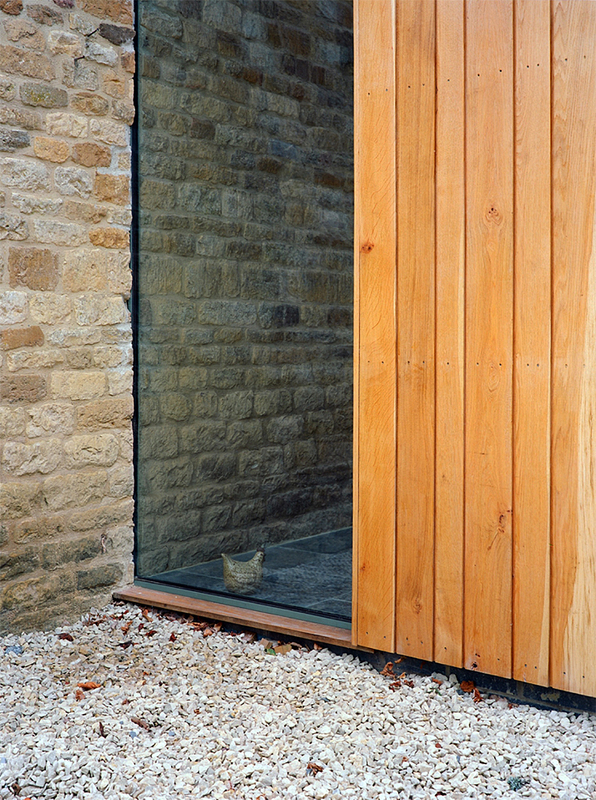 Wherever possible, the existing stone and oak structure has been retained and exposed. 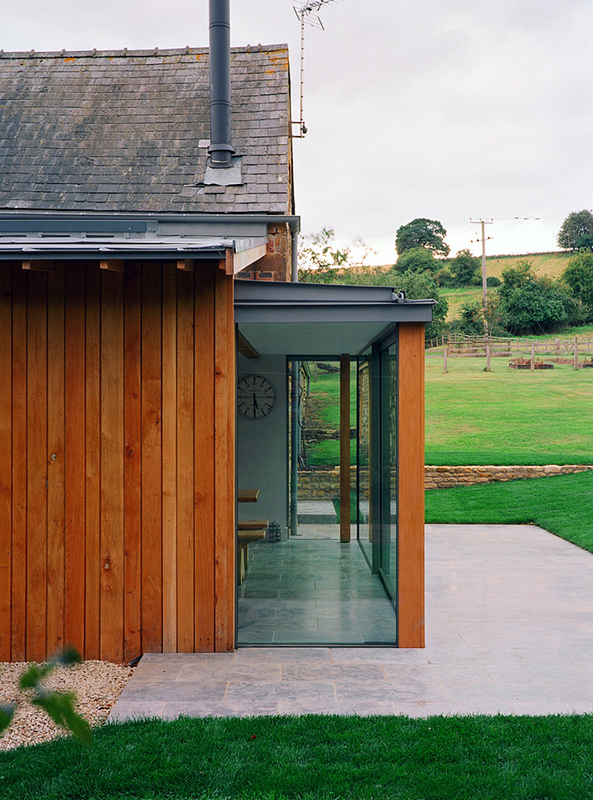 The new work has been carefully considered so it enhances the original building with oak framed doors and windows, weathered zinc roofing and gutters and oak cladding. 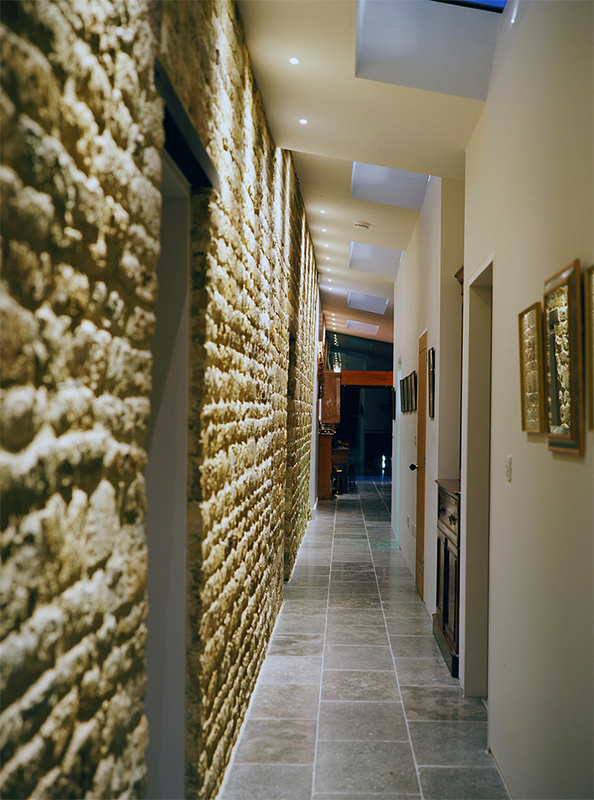 The interiors have been sensitively adapted with natural stone floors which will align with the exterior terraces and simply decorated walls and ceilings which act as a neutral counterpoint to complement the original parts. 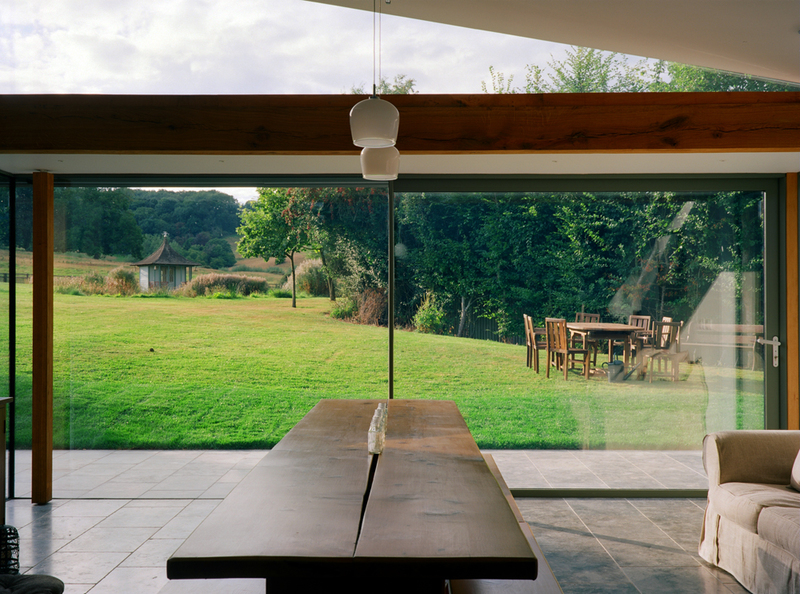 Natural light within the building is enhanced with the use of large glazed sliding doors and floor to ceiling fixed windows with minimal framing. 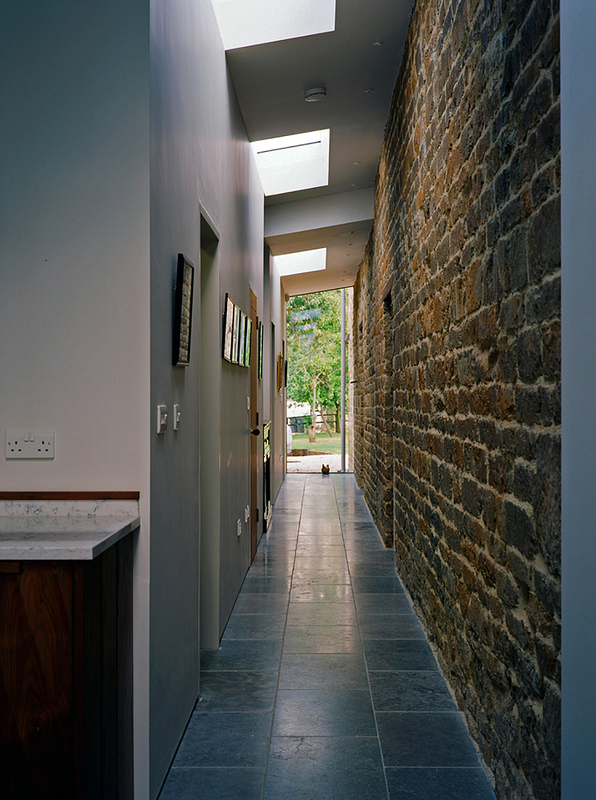 Large roof lights within the zinc roof drop light down into the interior and natural light will flood the northerly corridor between the old and new buildings. 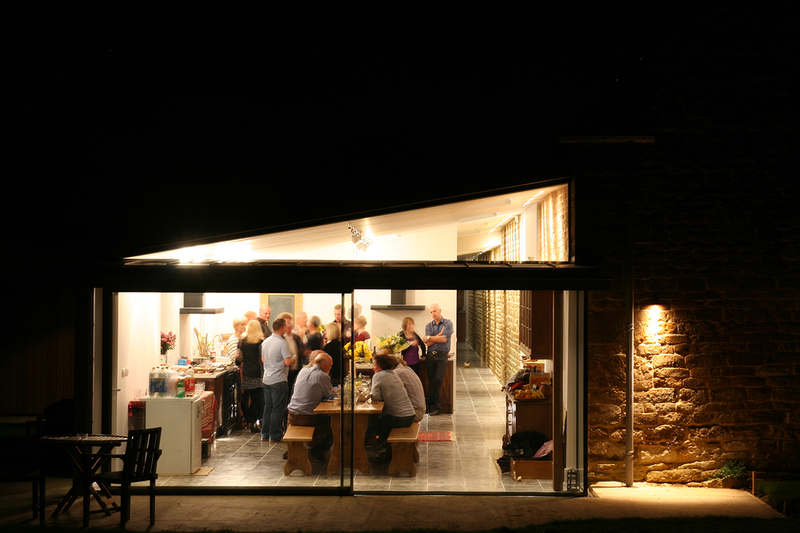 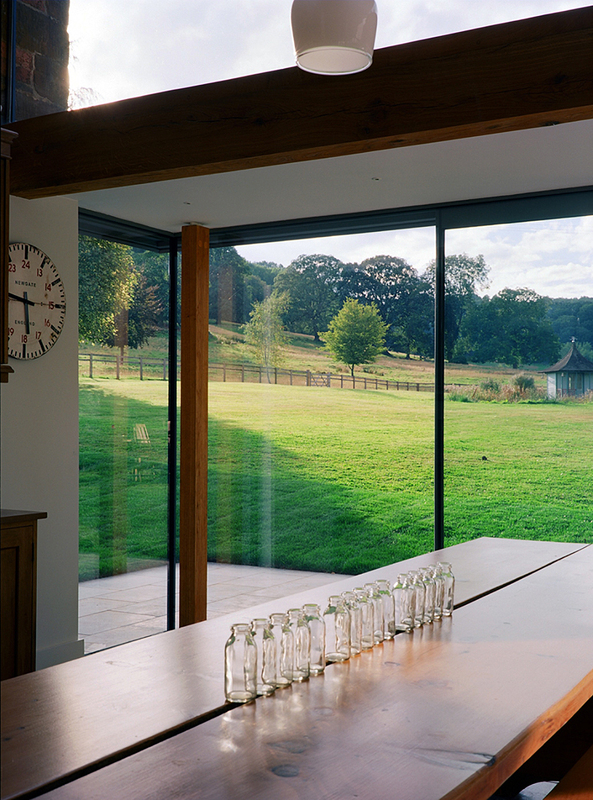 A hand-made oak kitchen and breakfast area have been installed within the new extension with uninterrupted views over rolling countryside through the glass box forming the new end of the building. 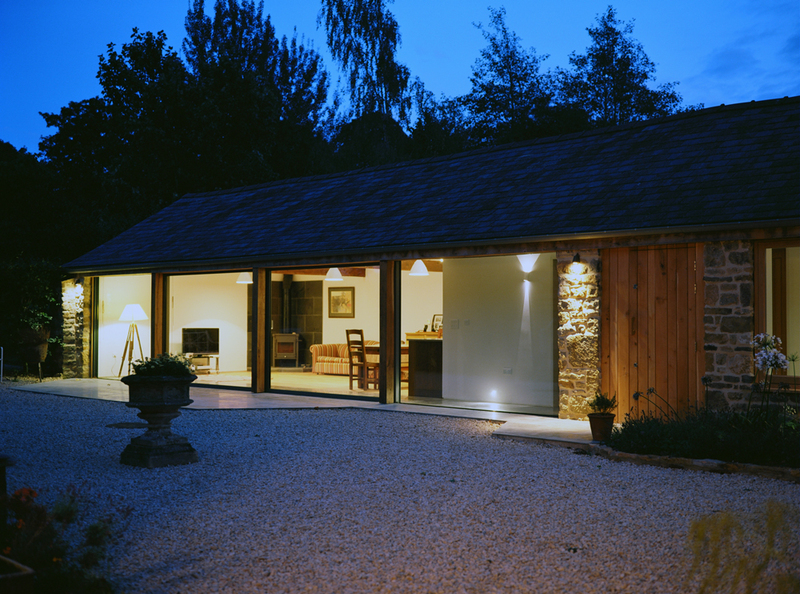 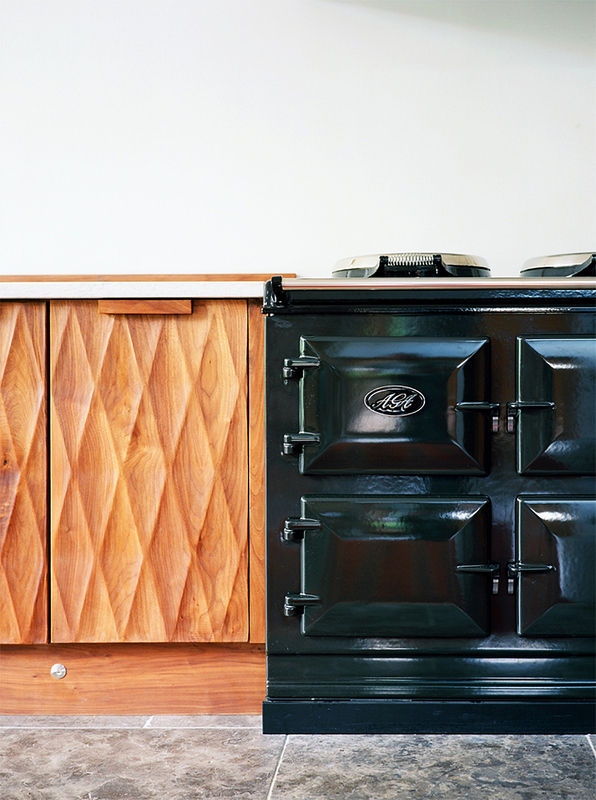 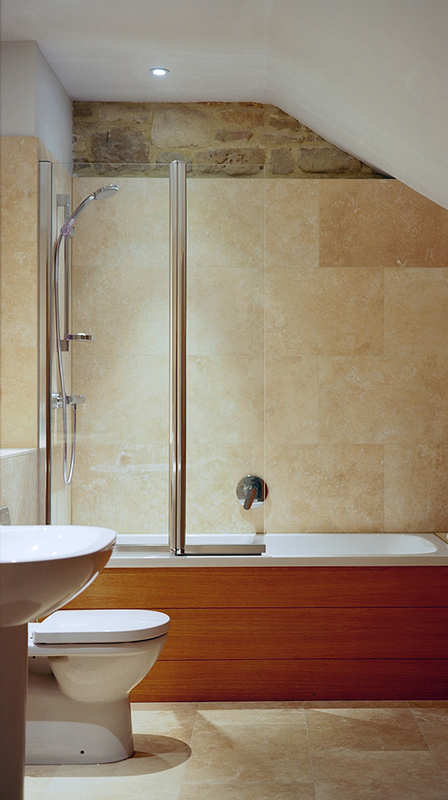 The floors, walls and roofs are heavily insulated with a highly efficient heating system with underfloor heating.